Xanthi has been renowned for its tobacco since 1715. 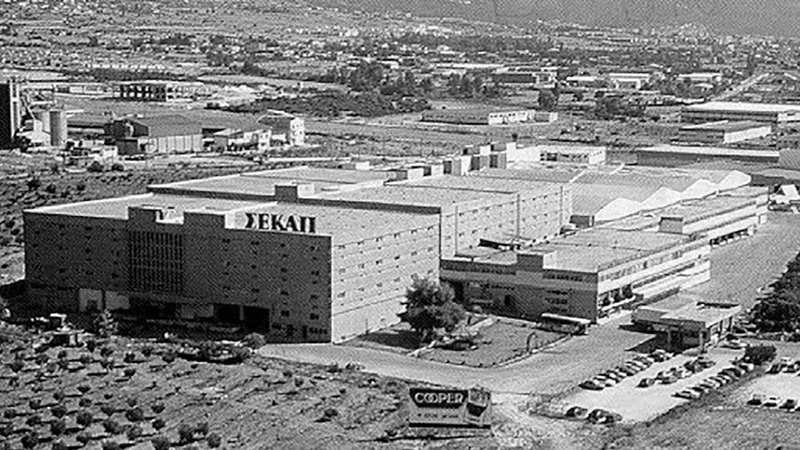 From 1860 until 1925, the tobacco merchants from Xanthi cooperated with foreign companies and would travel and forth to the West, while the factories – tobacco depots at Xanthi, built on the plain – formed a unique district, which is surrounded today by the contemporary city of Xanthi. The political, cultural and social changes which lasted for more than 40 years were unable to alter the character of a city -hub like Xanthi. The residents of Xanthi, be it Christians, Pomaks, or Muslims, have only one ‘god’: home, family and work. Today, SEKAP constitutes an important resource for the development of Thrace, as well as a source of inspiration, life and creation for hundreds of people in Xanthi and beyond. It feels like only yesterday when, in 1890, the tobacco merchants from Gümülcine*1 and Kardzhali*2, brought on camelback the basmas tobacco in the city’s warehouses and placed them next to the bunches of tobacco leaves from Xanthi. The city’s tobacco industry is greatly indebted to the peaceful ‘degtsidis’*3, to the thousands of tobacco-workers as well as to Anargyros Sigalas, the tobacco merchant who knew, even back then, in 1929, that the ‘excellent, fragrant and artistically packaged cigarettes’ found here would soon ‘become best-selling products, once they would entered the market ‘. The golden era of prosperity, when the tobacco cooperatives used to flourish*4, was followed by chaos, ashes and the harsh years of the German Occupation (1941 – 1945). During the first post-war convention of tobacco producers (22-24/11/1945), the inspired and experienced ‘frontman’ of the Cooperative Movement, Alexandros Th. Baltantzis, conceived the idea of establishing the SEKE, thus renewing the interest in the buying, reselling and trading of tobacco in leaves, be it processed or not. Alexandros Baltantzis*5, gave the organization its legal form as a Public Limited Company, and he predicted the importance of establishing a cooperative tobacco industry. Along with tobacco merchant Nikos Hatzigeorgiou and Georgios Floros, who was the director of the Cooperative, he supported the creation of a Cigarette industry with strategic goals, aimed towards the domestic and international market. Given the high competition from the already functioning tobacco industries, establishing a competitive and viable tobacco industry required considerable funds; so, before proceeding to create a new tobacco industry, SEKE*6 leased the Matsaggos tobacco industry, a pioneer of its time. After 1974, the results from in-depth studies, following a decision rendered by SEKE, and the experience acquired from managing the Matsaggos tobacco industry, facilitated the Administration of SEKE to take the big step and establish SEKAP, the Greek Cooperative Tobacco Industry SA. Along with Xanthi, Gümülcine (Komotini) and Kardzhali were the 3 natural geographical areas in the broader region of Western Thrace which were dominated by the production of tobacco. Most tobacco varieties were produced in Xanthi and Kardzhali and then gathered in Xanthi. Kardzhali (Kirtzali): Natural Geographic Department in the broader region of Wester Thrace, known for its tobacco production, cf. note 1. (1904 – 1987) The inspired ‘frontman’ of the Greek Cooperative Movement, the visionary and founder of a group of dozens of Industrial Commercial Enterprises of a Cooperative nature. He became the first President of the Panhellenic Association of Agricultural Cooperatives and Minister of Agriculture (1963), in the government of G. Papandreou. The Cooperative Union of Tobacco producers in Greece is a purely cooperative association, aiming to represent the Cooperative Interests of Tobacco Producers as well as the general trading – purchasing, safekeeping and reselling of tobacco in the market.